I am one of MAC’s biggest fans, I absolutely love their makeup, particularly their lipsticks and foundations. However, for some reason I’ve never really tried any of their skin care or prep and prime products until now. 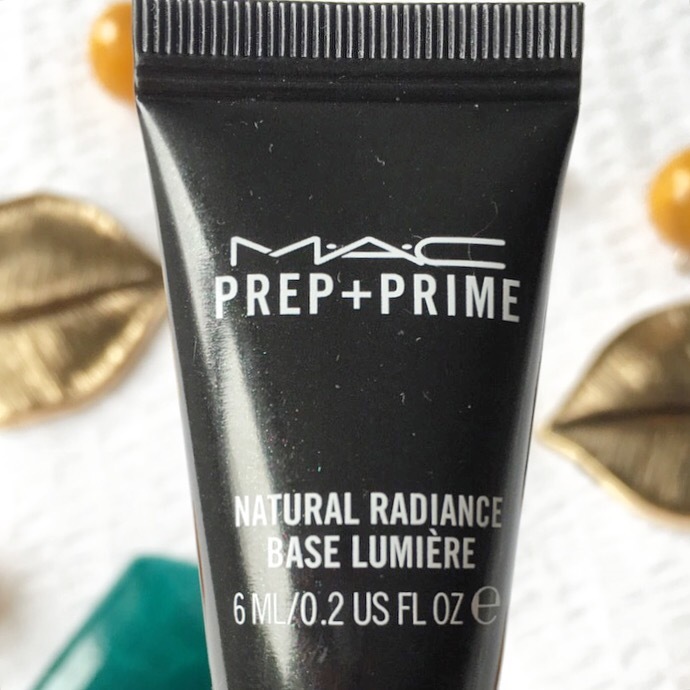 A few weeks back when I was in getting my free lipstick, the lovely girl at the MAC counter gave me a sample of their Prep + Prime Natural Radiance illuminating primer to try out and let me tell you all, it’s love! I’ve been using this for about two weeks now and the difference on my skin is amazing. 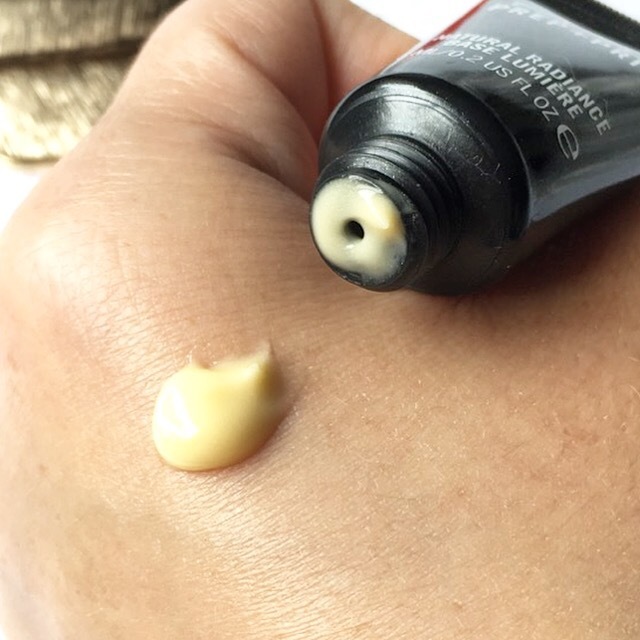 Although it’s more like a gel than a cream, it still has a smooth, creamy texture, and because of that you only need a very small pea size amount when applying. 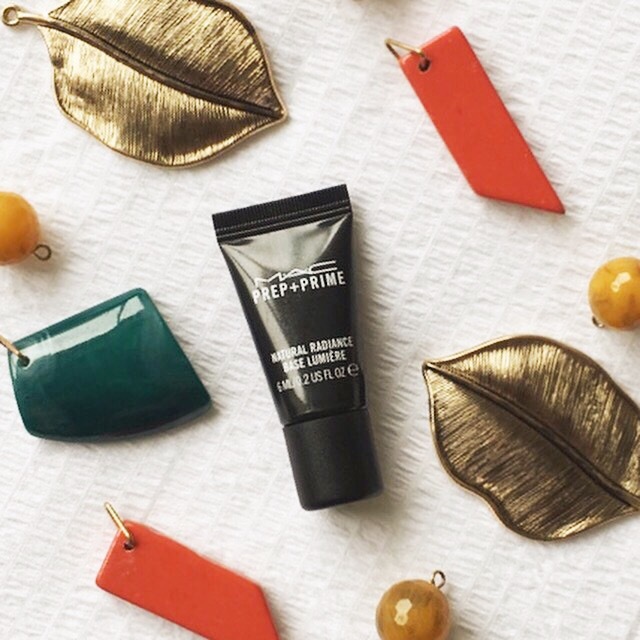 Once blended in, it leaves the skin feeling lovely and fresh, and there is no stickiness like you get from some primers. 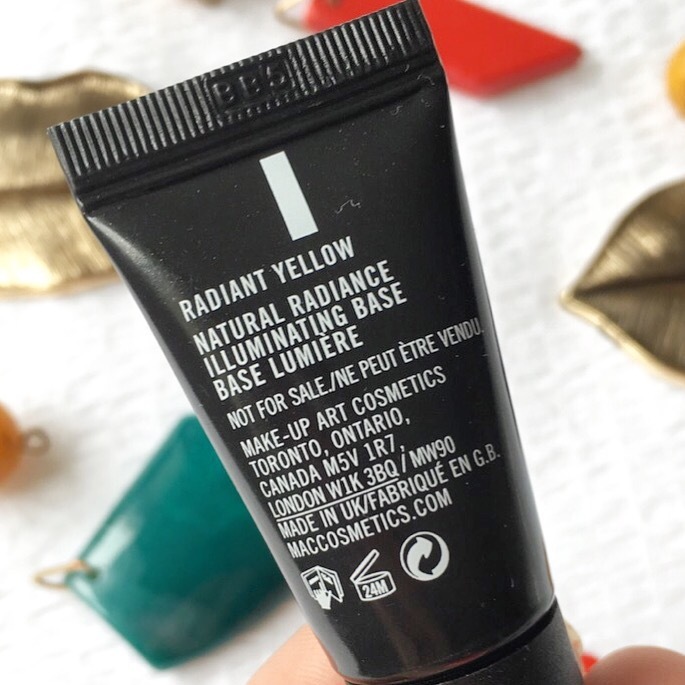 Not only is this primer very easy to apply, the yellow tone of the Radiant Yellow shade gives your skin a gorgeous, dewy glow, and brightens up the skin beautifully meaning your makeup goes on much smoother. I find I need less concealer because of the brightening power of the primer, and my makeup is lasting so well throughout the day too. 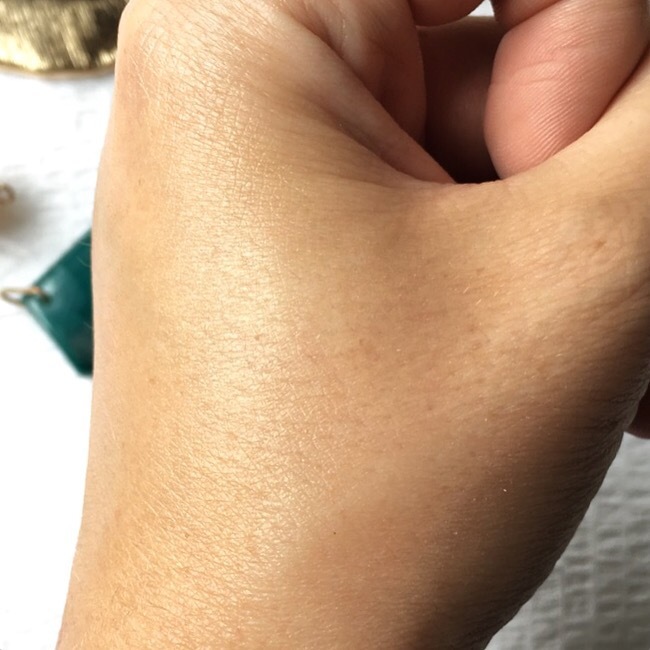 It contains Vitamin E and Vitamin C which are super hydrating for the skin, and the illuminating properties come from pearl powders which means it will work for all skin types too. I have dry to normal skin so that’s probably why I’m always drawn to illuminating products, however, even if you have oily skin this should work for you as there is no sheen or shimmer in it to make your skin look shiny. It also leaves your face feeling quite soft, even after makeup application which is always a bonus. 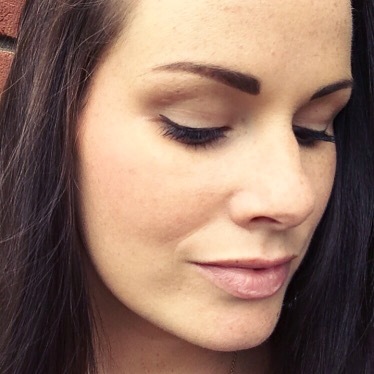 Benefit’s That Gal primer has been my favourite for some time now and this is the first primer I’ve tried in a long time that comes close to matching it. I’m really loving it and plan on purchasing a full size version as soon as my sample tube runs out. So if you like me are a big fan of That Gal, then I’m pretty sure you’ll love this too. The full size version is €40.00 so that does make me wince a little, however, given that I’ve only needed to use a very small amount each day, I’m pretty sure this tube will last ages. But I’ll report back on that soon!